Lay Off Chris Christie’s Weight! It Might Just Help his Chances. Is Chris Christie too fat to be elected president? Amid reports that the New Jersey governor has become the latest choice of the anybody-but-Romney movement to try to derail the remarkably tenacious Mormon, Christie’s waistline has once again become a national news story. All the anxieties currently being attached to the governor’s weight, however, are likely overblown. A couple of months ago, an unscientific poll in the Los Angeles Times found that while approximately 20 percent of the respondents would refuse to vote for Christie because of his weight, nearly seven out of ten said it would make no difference to them, while another 6 percent cited his weight as a reason to vote for him. And while there’s no question that cosmetic issues matter a lot in contemporary politics, and that being fat is almost certainly a net negative for a presidential candidate, the contemporary politics of fat, and of fat politicians, are far more complex than they once were. The political class first took notice of Christie’s weight during his successful 2009 campaign to unseat incumbent John Corzine from the New Jersey governorship. Corzine ran an ad crudely mocking Christie’s physique, accusing him of “throwing his weight around” to get out of a couple potential traffic tickets. (Corzine went so far as to start running 5K and 10K races on most weekends toward the end of the campaign, apparently to demonstrate that he was literally fit for office). But Christie handled the issue with deft humor, pointing out that the fact he’s fat isn’t exactly a secret, and mocking Corzine in return for being desperate enough to make an issue of it. But if the issue of Christie’s weight would undoubtedly affect his chances, it seems likely to do so in a number of contradictory—and not wholly negative—ways. To be sure, as a fat man he would trigger a host of cultural anxieties that associate fatness with lack of discipline and self-control, and with over-consumption in general. The numerous fat jokes that marked the early years of the Clinton presidency were illustrations of the same anxieties: Clinton’s fatness became a synecdoche for concerns about his appetite for a number of things besides food. That he eventually had an affair only intensified and reified this metaphor in the minds of both his enemies and supporters. The other two roles that Christie’s weight would play in a presidential campaign, however, are much more positive. Few things are more powerfully gendered in mainstream American culture than body size: Fatness in general is considered bad—and to some extent feminizing—but it is a more complex characteristic in men, and especially powerful men, than it is among women. While it’s true that it is bad for a man to be fat, it is unquestionably good for a man—and most especially a socially powerful man—to be big. Our language encodes this judgment in countless ways: For leadership we look to the big man, the man of substance, the heavyweight contender, the man who can throw his weight around, and so on. In this sense, Corzine’s ad mocking Christie was inadvertently reminding viewers of a powerfully positive characteristic of his opponent. Indeed, I would venture to guess that a short, slim man who wanted to run for president would face more difficulties in regard to the cosmetics of power than Christie. 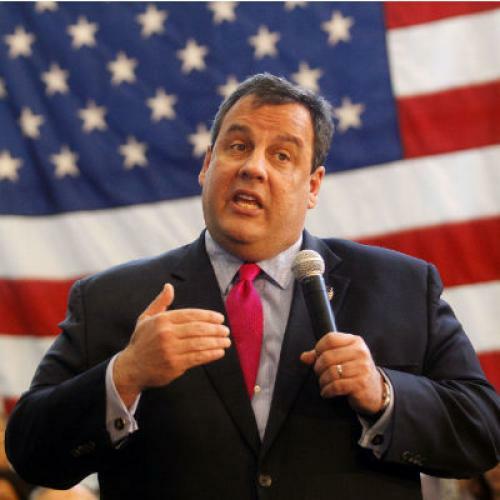 In addition, Christie’s weight could help him in another way, especially in the GOP primaries. In the context of contemporary American politics, an unapologetically fat body, at least a fat male body (again, it should be obvious that putting 50 pounds on Michelle Bachmann or Sarah Palin would instantly destroy their presidential aspirations), could well function as a kind of symbolic flipping off of the endlessly intrusive nanny state, so despised by both libertarians and cultural conservatives. Of course, this puts someone like Christie in a bit of a practical bind, since in order to take advantage of this sentiment he has to stop being a “good” fat person—that is, he needs to become unapologetic about his body, rather than putting on the shame-ridden performance expected of fat people by the health police. So is Christie too fat to be elected president, or to at least win the GOP nomination? In my view, the contemporary politics of fat are too complicated to draw that judgment. Being fat will definitely hurt a Christie candidacy in some obvious ways, but it will help his candidacy in some other, subtler fashions. Paul Campos is a professor of law at the University of Colorado.